Pancakes from Ken’s House of Pancakes. We hope the next time you travel to the 50th State, you’ll keep the Big Island of Hawaii in your plans. One of the great things about being on the Big Island is its opportunities for great brunches. Here is where you can get some of the best Big Island brunches. The Orchid Court at the Fairmont Orchid hotel is an idyllic setting for a leisurely brunch. Enjoy Kona coffee or tropical fruit juice on the garden terrace of this luxurious hotel. With items like crab spinach wrap to Hawaiian-veggie omelet, this brunch is worth jump-starting the day for. Zagat and Fodor’s has recognized Bamboo Restaurant as the “Best Restaurant” on the island. Open for over twenty years, this restaurant supports local farmers, using only the freshest ingredients. They offer fresh fish daily, use only organic produce and serve free-range chicken. After brunch, guests can wander through the surrounding gallery of Hawaiian art. While doing so, they can also view a large collection of unique aloha shirts. Having brunch here is a special occasion. This is because their brunch menu is only served on Sundays from 11 am to 2 pm. Splasher’s Grill in Kona has a menu that reads more like a mix of favorite breakfast platters. These include coconut waffles, Portuguese sausage, fried rice and more. Some of their most popular menu items are Crab Cakes Eggs Benedict, Steak Colorado and Fish & Eggs Breakfast. Splasher’s offers brunch dishes for the saltiest sailors to the most refined foodies. The best part? Everyone eating brunch here has Kona coffee on the house. 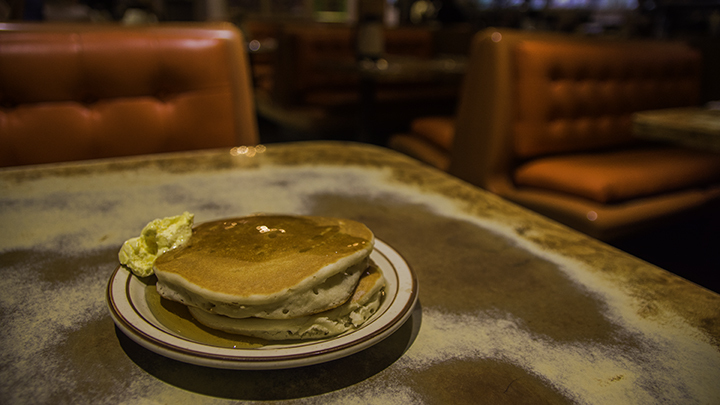 The clock doesn’t dictate when Ken’s House of Pancakes serves brunch or any kind of meal. This Hilo favorite makes the best of brunch available all day. So whether it’s a breakfast burrito, pancakes with passion fruit or guava syrup, you can always get them here. And one of Ken’s specialties is Hawaii’s favorite comfort food, saimin, which you can get for brunch. Ken’s House of Pancakes understands that brunch means savoring your favorite foods whenever you like. At Ken’s, you can bet some of the best deals on Big Island brunches. The Island Naturals Hilo Market & Deli is a great place for those wanting take out. Here, customers can order their meals quickly and then head back to their hotel to enjoy brunch on the lanai. The deli offers a variety of organic and healthy foods fit for the beginning of the day. There is also a salad bar and hot food bar where everyone can arrange their ideal brunch. This market has storefronts in Pahoa, Hilo and two locations in Kona. Cafe 100 has been in business for over a century, offering some of the most popular Hawaiian classics. Among their brunch dishes are hearty comfort-foods. One of them is the loco moco, a hamburger patty topped with over easy eggs in a bowl of rice covered with brown gravy. It’ll allow you to start off the day a protein punch. After dining on Spam or shredded kalua pig, you’ll be ready for a strenuous hike in Hawaii Volcanoes National Park. If you’re looking for truly local style food, look no further than the Manago Hotel in Captain Cook. While it really doesn’t offer brunch, you’ll be able to savor one of the most genuine local style breakfasts. The food is unpretentious, filling, tasty, reasonably priced and backed by family style service. Try their Portuguese sausage and fresh papaya for breakfast. Although not typical for a morning meal, you should try their famous pork chops if you’re dining after breakfast hours.